Has the pain subsided yet? Is your blood pressure back to normal? Are your eyes still red from watching the disaster? Has that nervous tic subsided yet? 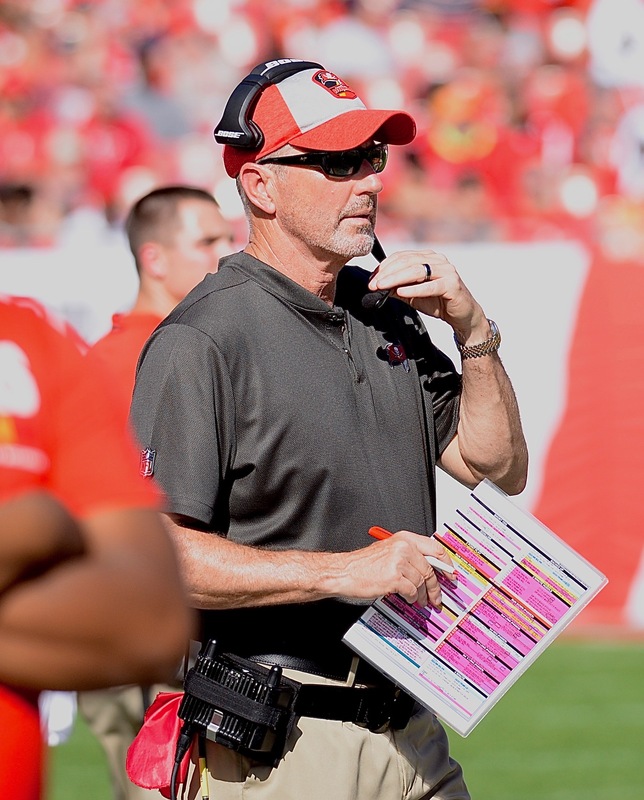 Now that Dirk Koetter is safely out of the way, have you recovered from the latest Bucs' dance with disappointment? Oh, if you still cared a little, this season stung a lot. There was potential there. There was talent. It wasn't the same hapless Bucs traveling their endless circle. It's just that all of the potential was hidden by the interceptions, and the turnovers, and the penalties, and the sluggish starts, and the missed kicks, and the fumbles, and the red zone stops, and the third down frustration, and the opposing receivers winding their way through the secondary, and the short-yardage failures. Think of it like this: If the Bucs hadn't pulled the upset of the year in the NFL in Week One, and they didn't dump the defending World Champions in Week Two, and if they didn't get a 59-yard overtime field goal from a kicker who didn't last the season, and if Cam Newton doesn't throw four interceptions, well, it really could have been ugly. You don't have to explain why this isn't a playoff team. So, yeah, Koetter got canned. And it's hard to find an excuse for him. For the time being, there is a lot more controversy about who is staying than who is going. As far as coming? The early names seem to include Notre Dame coach Brian Kelly, Dallas assistant Kris Richard, Kansas City assistant Eric Bienemy and Minnesota assistant George Edwards. It isn't an awe-inspiring collection, but gone are the days when the Bucs hired Tony Dungy after flirtations with Jimmy Johnson and Steve Spurrier. Rank them as Kelly, Richard, Bienemy and Edwards. Whoever the new coach is, he's going to have to be aware of all the ways the Bucs went wrong. He'll be the guy in the room watching game film through his fingers in horror. As for the rest of us? Can you stand to relive the horror by dissecting the season? The season is dead, and all that remains is to examine the corpse. Here we go then. Eleven plays that led to 11 defeats. 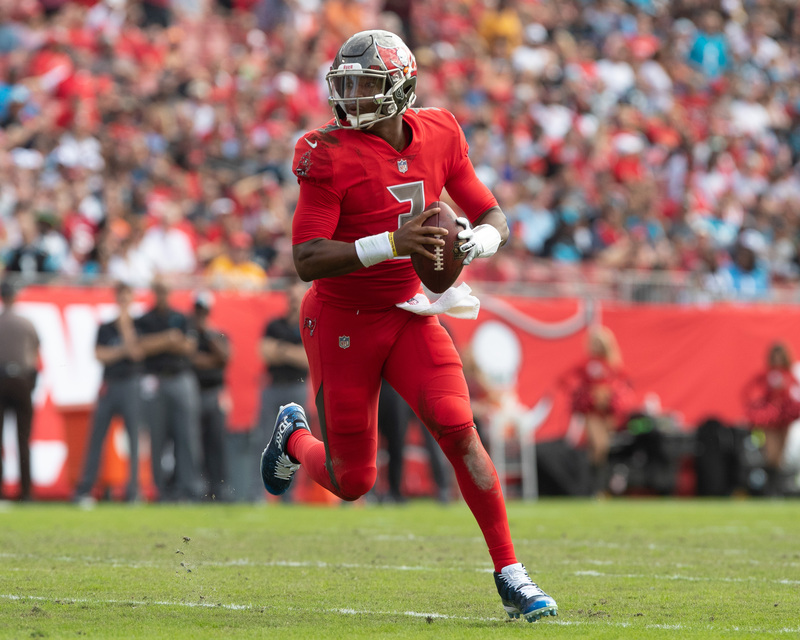 Game Three: Pittsburgh 30, Tampa Bay 27: The Bucs were doomed by a slow start, something that would be a trend for the season. But the key play in the defeat happened late in the second period when Ryan Fitzpatrick suffered his third interception on the day. On second-and-10 from the Bucs' 2, Fitzpatrick threw the ball to Pittsburgh's Bud Dupree, who ran it back 10 yards for a score. Game Four: Chicago 48, Tampa Bay 10: If you want to find one play to blame for this nuking, you'd better look early. How about the first drive, when Mitch Trubisky found Trey Burton for a 39-yard score? The Bucs never did slow down Trubisky. Game Five: Atlanta 34, Tampa Bay 29: This one is still strange, because an NFL team never won a game by lateraling its way into the end zone. The Bucs tried. Trailing Atlanta 34-29, the Bucs had the ball on the Atlanta 21. Rather than try a pass into the end zone (odds are against it, but successes happen), Jameis Winston ran. As he was tackled at the 10, he tried to lateral to Adam Humphries, who couldn't handle the pitch. Mike Evans picked it up at the 5 and tried to later to DeSean Jackson, who couldn't handle the ball as time ran out. In review, it was creative, but it was not a high-percentage play. Game Seven: Cincinnati 37, Tampa Bay 34: You could blame a lot on Jameis Winston's interceptions, but let's go with the fourth one, the one that got him benched. That pass was intercepted by Jessie Bates, who returned it 21 yards for a touchdown. Another slow start, another disappointing loss. Game Eight: Carolina 42, Tampa Bay 28: The Bucs fell behind Carolina 35-7. They came back to close within seven, but lost. The toughest play to swallow was a third-and-goal from the 17 where Cam Newton found Greg Olsen for a touchdown. Unforgivable. Game Nine: Washington 16, Tampa Bay 3: The Bucs gained 501 yards and punted only once. Still, they scored just three points. The Bucs missed a field goal, had an interception and two fumbles in the second half. The key play? Alex Smith hit Maurice Harris on a 20-yard pass on third-and-nine to set up the game's only touchdown. Game 13: New Orleans 28, Tampa Bay 14: The Bucs actually led this one 14-3, but not even a good start could save them. The key play came when Taysom Hill blocked a punt to set up New Orleans at the Tampa Bay 30. That was before the Saints scored the game's last 25 points. Game 14: Baltimore 20, Tampa Bay 12: Tampa Bay still had a chance late in the game against Baltimore. They had a third-and-one at the Ravens' 30, but on the short yardage play, former Baltimore player Ryan Jensen was blown up and Peyton Barber was thrown for a three-yard loss by Brian Williams. Game 15: Dallas 27, Tampa Bay 20: As long as fans remember the Dallas game, they'll remember Cowboys linebacker Jaylen Smith streaking down the sideline with a Jameis Winston fumble. Another fumble later set up another score. Game 16: Atlanta 34, Tampa Bay 32: The play that lingers was a late third down when the Falcons were on the edge of field goal range. On third-and-11, Matt Ryan hit Julio Jones for 16 yards. Once more (like the Ravens and Cowboys), an opponent was able to kill the clock late.